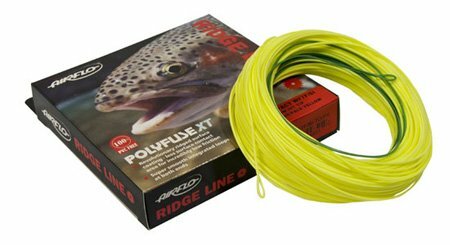 The ridge supple impact slow mini tips are probably the most important range of fly lines for the Stillwater nymph angler. Designed to anchor your flies in the water surface at that precise depth the fish are feeding at, giving you greater control and keeping you in direct contact with your flies. Featuring Airflo''s impact taper design which gives easy distance, whilst the low stretch core helps you feel every little touch, even at long distances. The 6’ Slow Tip was developed with the ‘washing line’ technique in mind, this line keeps you in direct contact even with the slowest of retrieves, without sinking the flies too deep and eliminates the hinge you experience on the 3’ fast intermediate tip (this hinge is great for deep nymphing, but not perfect for surface fishing). This line has already helped some teams on the competition scene to gold medals! 12’ Slow tip - Delivering your flies in a flat calm isn''t always an easy task, the 12ft slow mini tip features the favourable delta taper which helps anglers cast better rain or shine, or in this case, wind or not. 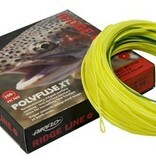 The 12ft slow tip allows your flies to drop just shy of the surface at a sink rate of just half an inch per second.